What is REMY Hair? Remy hair vs Virgin Hair, what is Better? Home	→ Blog → HAIR EXTENSIONS → What is Remy Hair? Today I will help you understand it better. Remy hair is often more about the beauty of the outer layer, meaning that all the hairs are going in one direction. Remy human hair is collected with meticulous detailing when all the hairs stay straight in the natural direction as it grows to maintain the natural texture and inner epidermis pattern, this eliminates the tangle problem system of other low-quality hair. Remy hair has much more favorable characteristics than other types of hair. Because it is soiled in the environment and extremely demanding for every hair, Remy hair is not prone to tangle, a common problem in the other hair, this feature will make you feel comfortable and extremely comfortable to use. 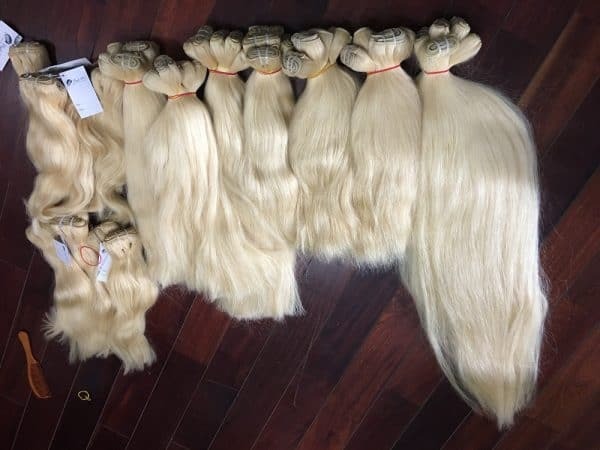 Especially, the Remy hair is smooth and the quality within the hair reaches the perfect level will bring you natural beauty and rejoice in the face of the user. Remy human hair fit many types of facial expressions, making you more confident and radiant anytime, anywhere. 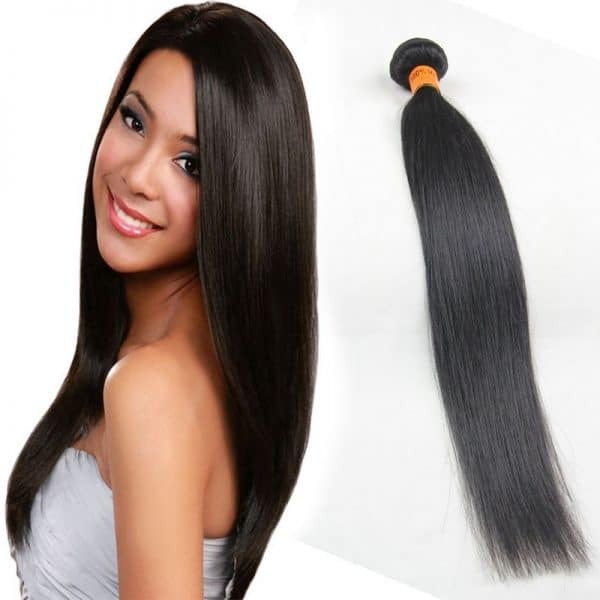 Remy hair also gives the best feeling to the user by the high quality its level. When you started working on hair extensions, some of the terms for hair extensions can be confused for beginners. Example for: Remy human hair, nonremy hair, Virgin hair and what belong to hair extensions may make you surprise. Let me start explaining what some of the terms mean so that you can understand clearly about virgin hair. The Remy human hair is collected and sorted from various sources with the root and tip traveling in the same direction to ensure the cuticles doesn’t tangle and matte. The cuticles are not stripped and aligned on in direction. Remy Human Hair Extensions are the most popular hair extension on the market due to the quality and price. It is a high-quality hair that lasts up to 1-2 years and blends very well with your own hair. This type of hair collected from hair brushes and on the floor. Many places use this type because It is cheaper than Remy hair. After collecting, It will be washed with acid to remove entire cuticles. Then it is dipped in silicone to make it shine and to cover up any cuticles that were not removed by acid. After a few shampoos, the silicone on hair will start to wash off and show its true colors; a dry, and many times a tangled mess. Having full cuticles, traveling in the same direction. All hair extensions that you see in the market, its often Remy hair, collected from many heads. Virgin human hair is very rare and not much. The hair is tied into a ponytail ensuring that all the hairs are flowing in the same direction. The hair is then cut and preserved in this state. The cuticles did not strip and remain aligned in one direction. Meanwhile, a set of virgin hair must come from a single donor and all follow the same direction with an intact cuticle. It is completely natural, healthy and beautiful. In addition, there is a dark blonde virgin hair. It’s very, very rare and expensive, and not easy to find that kind of hair. It is usually from Russia. Again, if someone claims their hair is from these places, please check their credentials! 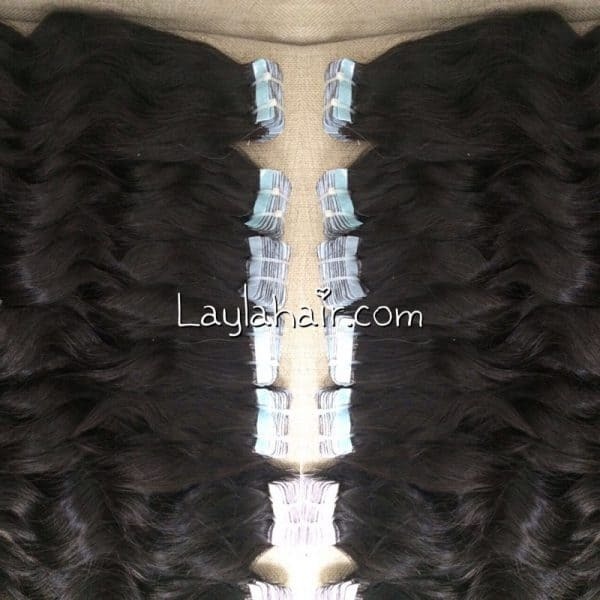 Please keep our website Layla hair and we will discuss exactly “ How to choose the best authentic virgin hair” in the next time. With all the above things really Remy human hair has affirmed the beauty and quality of Remy hair. Choosing for yourself a beautiful Remy hair so it can enhance your beauty. Hope that all my sharing can help you feel the beauty of your Remy hair.